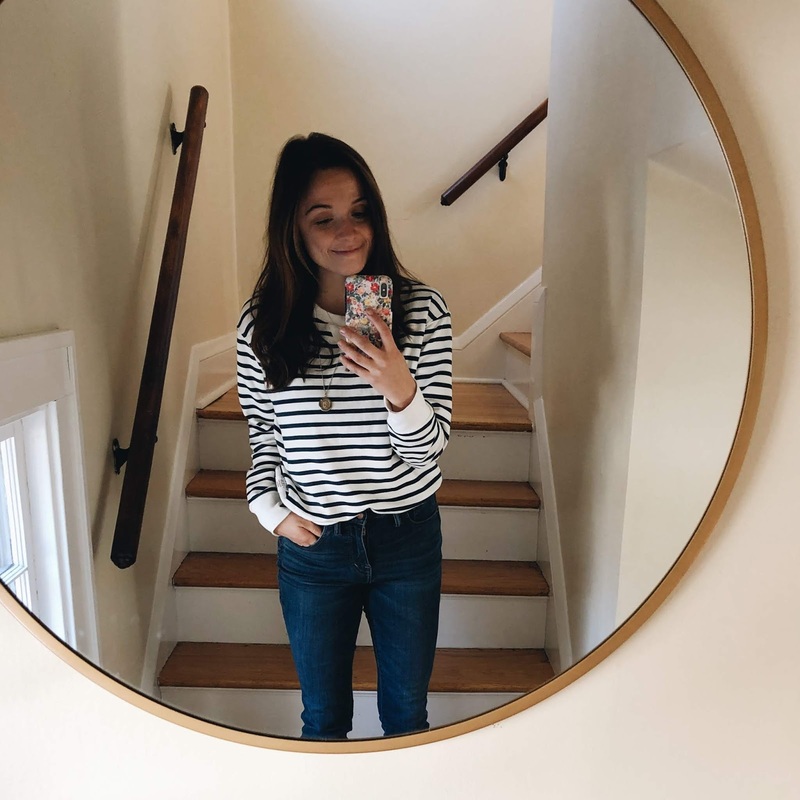 A trend I am totally digging this spring? Sweatshirts. Okay, I know sweatshirts aren't exactly a novel idea, but there seems to be a crop of dressed up sweatshirts everywhere lately (maybe a nod to the nineties, like everything else in fashion lately?) 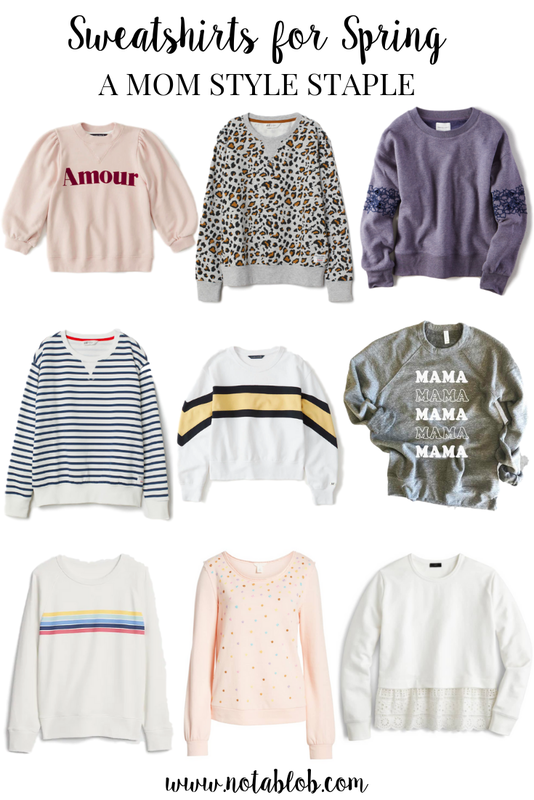 and a cute sweatshirt makes mom dressing so easy! I've got this guy in two patterns (stripes and leopard print, duh!) and they're already staples. And how freaking cute is this puff sleeve number?